Aaron has a post over on MNPublius that outlines some of the ways Michelle Bachmann is using her government funded congressional website to endorse groups outside the scope of House rules. While this may not seem like a big deal to some, it’s worth considering the value of links from a .gov site as Aaron alludes to at the bottom of his post. Links from government websites carry a LOT of credibility with search engines, leading to a significant boost in search engine rankings. Because of this, it’s smart of the House to have policies on what House members should and should not be linking to. I find this interesting because, as far as I can tell, Michele Bachmann was elected by the 6th District of Minnesota to represent the 6th District of Minnesota and not necessarily the interests of House Minority Whip, Marc Cantor, who represents the 7th District of Virginia. I happen to reside in Minnesota’s 5th District, so my Rep. is Keith Ellison. 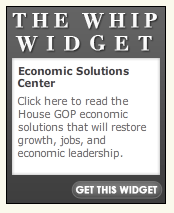 Notice that his website doesn’t include a widget from James Clyburn. While Ellison and Bachmann come from very different sides of the aisle, I like to believe that both of them are professional enough to represent ALL of their constituents and not just those that align with party leaders from Virginia or South Carolina. Perhaps Rep. Bachmann could reconsider her party puppetry widget and go back to representing the interests of all members of the 6th District of Minnesota? If Bachmann’s constituents felt strongly about their district’s needs, they wouldn’t have elected Michele Bachmann to represent them. Previous Previous post: Do Qwest Dex Yellow Pages Have a 1-Month Shelf Life?